Sketchfab Community Blog - Meet Marc, Our Latest Team Member! Meet Marc, Our Latest Team Member! In our Meet the Team series, we talk to Marc Helbling today to find out about his background and what he’s up to at Sketchfab as a full-time engineer. 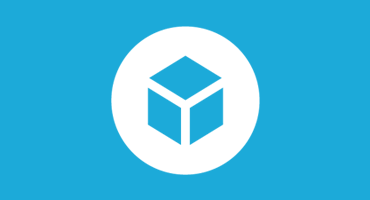 How long have you been with Sketchfab? What’s your role there? I’ve been a full time engineer at Sketchfab for about a month now, improving how we handle 3D assets and supporting new 3D file formats. How did you get into 3D? What interests you most about 3D? When I was young, a friend of mine lent me a Playstation 1 with Die Hard Trilogy and I remember hearing my father say to my mom “Look honey, this is 3D, this is the future! We should buy the console.”. I don’t know if he really meant it or if was just an excuse to buy the stuff but it triggered something. I then started some applied mathematics studies and had the opportunity to carry out a Ph.D. in 3D, founded by the leading company in industrial CAD and trying to change the 3D modeling process by mimicking what we would do in the real world with clay. I discovered that 3D is such a huge world with so many aspects! And it is often really complicated. The theoretical aspects are hard but sometimes we could definitively do simpler. This is quite my motto as an engineer: making hard things seem easy. And I think that Sketchfab has the right approach to make 3D more intuitive to everyone and bridging the gap between 3D professional and mass audience. Do you do 3D modeling yourself? How would you get started? As a new dad, I spend a lot of time with my kid, wife and dog. Music has also an important place in my life, be it playing the guitar or the drums, (at least trying), discovering new bands or going to gigs. And I am trying to farm some fruits & vegetables on my apartment balcony which is quite challenging! Movie with “real humans”: The Big Lebowski for the inspirational way of living. Animated movie: Up! So much emotions, this really is a masterpiece! Karma To Burn, Wild Wonderful Purgatory. Slightly repetitive and heavy sound with no lyrics to stay focused. I think it would be the Octocat (below), I love the character and it is really cleverly designed! Github Octocat from Mestaty on Sketchfab. Where are you from? How old are you? I’m (almost) 30. Was born in New Caledonia but grew up in different parts of France. I guess I should now be called a Parisian though. What would you have for your last meal on earth? I’m assuming I have a little bit of time to enjoy my meal and that I should not worry about fat. So I would first drink a glass of Benriach Solstice 15. Dry of course, with a glass of fresh Chateldon water aside. I would then have a mix of green zebra and kumato tomatoes, with fresh basil, a fruity olive oil and, of course, a creamy burrata accompanied with a Peroni. I would continue with a raclette (I believe this should be the first reason for people to come visit France, not the Eiffel tower or the Champs Élysées); maybe I would take French fries instead of boiled potatoes and drink some Gewurtzraminer from the Herzog house (disclaimer: they are distant cousins). Then a trou normand to make some place for the desert which would definitively be a lemon pie *without* meringue (obviously) and a glass of fresh Huasa de Trequilemu. I realize my answer is a bit long but food is a very serious business, isn’t it? Finally coffee and I’ll be ready for whatever is coming after! I never had a single cavity and I know this makes my mom proud. 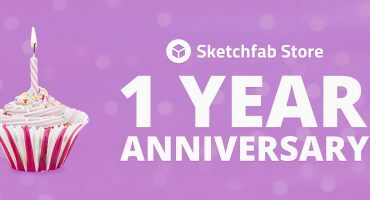 #SketchfabDay is here, join in the celebration!